In case you didn't know I've been on Holiday. 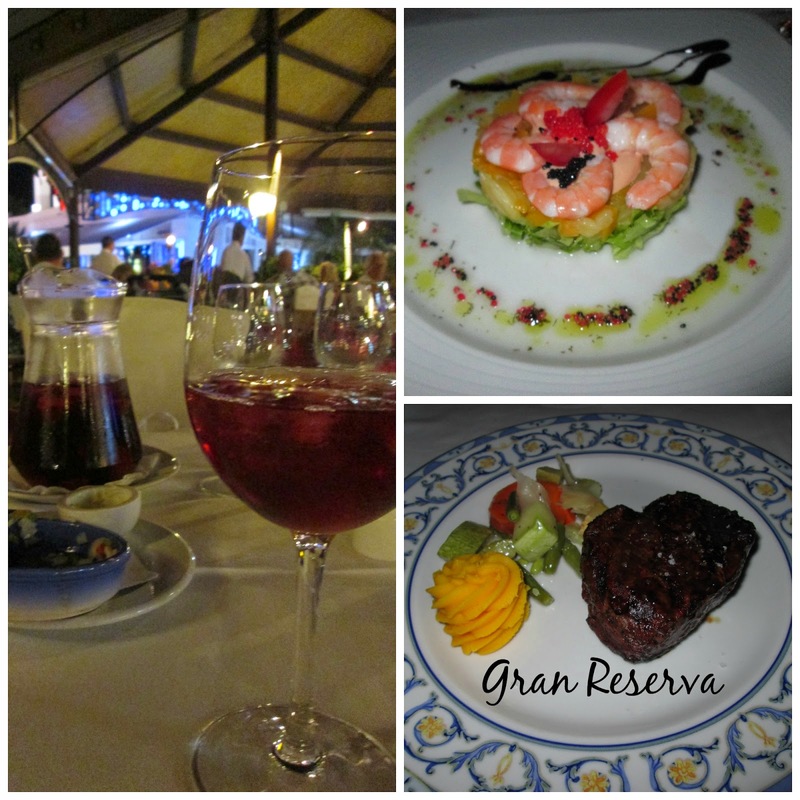 We went all inclusive which was really good and a lot better than expected. We still went out every night and ate out three nights out of ten. We're a bit older now and while I like to think I'm still a party girl the Veronica's scared me. I couldn't cope with all the PR's. I know it's there Job and I heard they get paid one euro per person they get in and no basic?! Not sure how true that is but if it is I can see why they are so pushy. We tended to stick to more expensive places but for me it was worth it for the lack of PR's, Lack of people going round trying to sell "Michael Korrs" products and flashing headbands. They also had really good atmosphere and comfy seats. 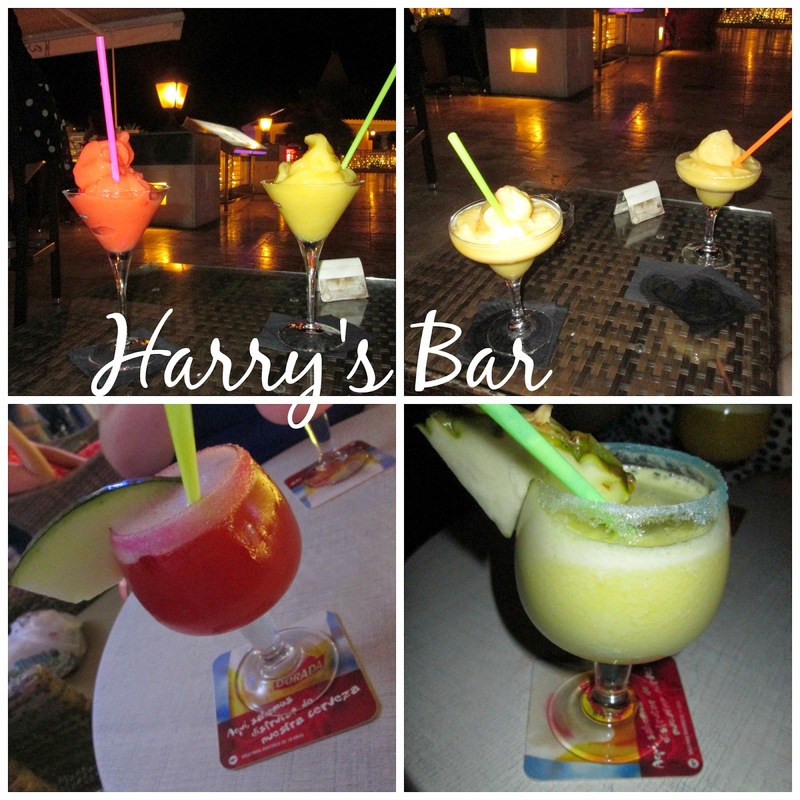 We found Harry's bar on our first night and I think it was my favourite bar of the holiday. I'd been told about it by someone from work. It's a sports bar but I don't know if it was because it was out of the main season I didn't see any sports being played. They had music playing and comfy seats. Sofa's at each end of the bar and tables and chairs on the outside terrace as well as the same on the inside. Cocktails are 8 Euro's which might be dearer than some places but they were all really good and made with branded spirits. I loved the frozen cocktails which could be a bit messy. My favourite cocktail is called Stop! Fashion and is the pink one in the bottom left picture. This was an unexpected surprise at the end of the Veronica's strip. I knew it was there but I didn't expect it to be so nice. My friend referred to it as Tenerife's version of the Sugar Hut. I have no idea what the Sugar Hut looks like but it was very swanky. All white leather seats. Day beds as well as tables and chairs. They have a wide cocktail menu from the classics, classics with a twist. Frozen cocktails and Posh Gin and Tonics. 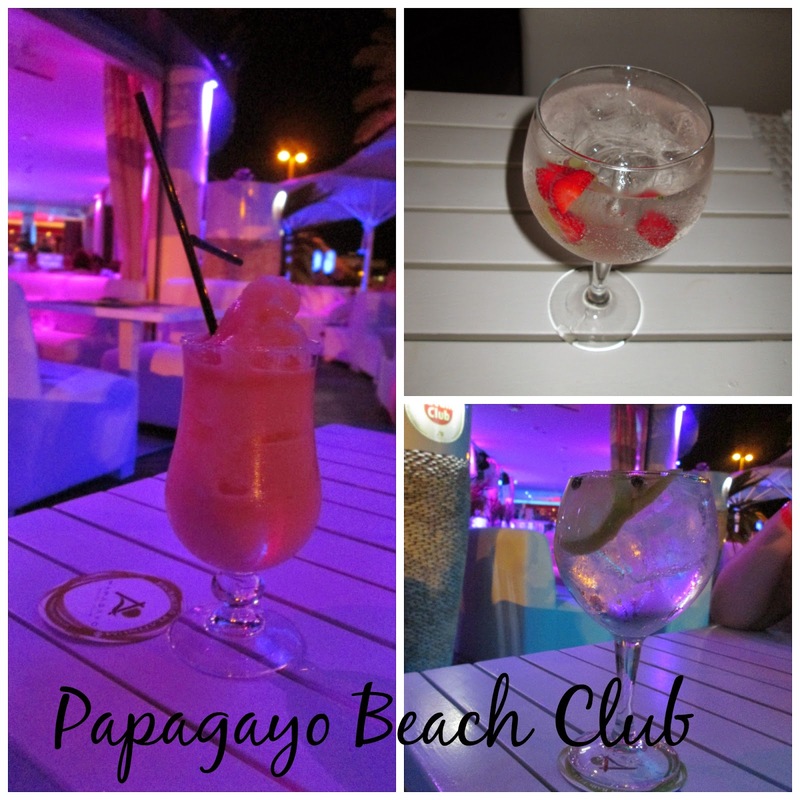 We sampled a couple of the G&T's which start at 11 Euros (Everyone said ouch when I told them) They are large drinks and lasted a while. They also do food but we didn't try this. This had only opened a couple of weeks before we arrived and was really looking forward to going as we'd been told good things. They have a large dining room and a couple of outside terraces. We started with cocktails. I have a fondness for Pickled Tink. I think i've had one in every Hard Rock I've been to. I had the Quesedilla's and they are almost main meal sized. I was expecting a tiny portion. I was so hungry I ate most of them and was too full for my burger. We both went for a classic burger and the burger and cheese was amazing I hated the bread. It was probably a good job I was full! For 2 starts, mains, a side dish, 3 cocktails and a soft drink it was a little over 100 Euro's which I think is a bit on the expensive side but you are paying for the experience as well. I will also be featured on one man's holiday pictures. He must have take 20 pictures with the flash on of me. He wasn't happy and kept shaking his head. I don't think that helped with how I was feeling. This restaurant is next door to Harry's bar and smelt amazing, we had to try it. I was expecting it to be really expensive as we'd looked at the menu for a near by place and it was so expensive but the prices here are really reasonable. 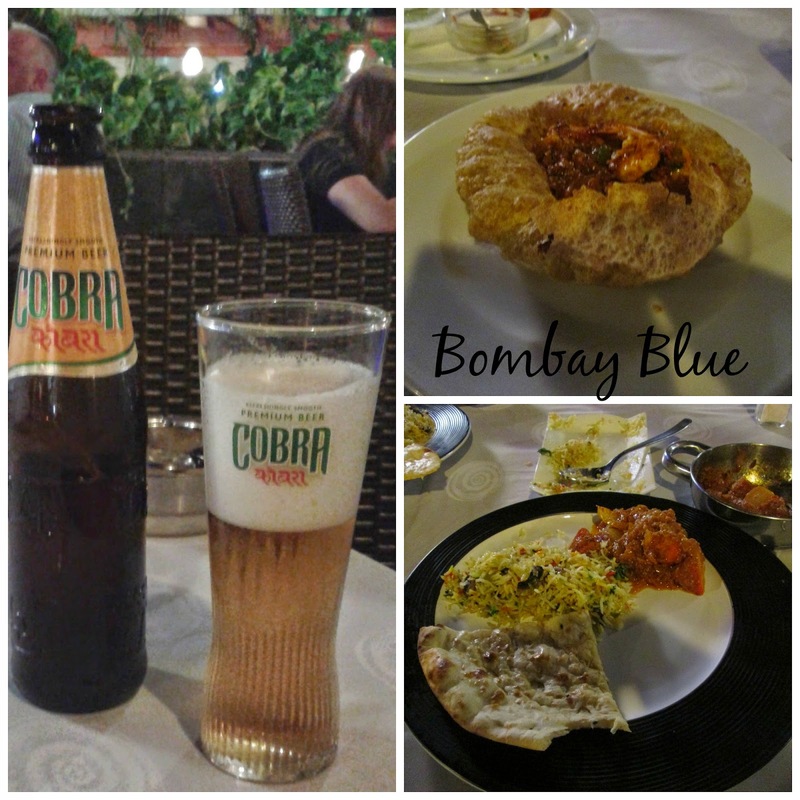 we had 2 starters, 2 curries, one mushroom rice, a garlic naan as well as 4 bottles of Cobra and it was only about 55 Euros. It was one of the nicest curries i've had in a long time. The Prawn Puri was fantastic, giant prawns and a spicy but not too spicy sauce. From the friendly staff to the seating everything was perfect. The receipt also has a 20% coupon off return visits. We didn't pick ours up as we knew we wouldn't have chance to go back. This is next door to Bombay Blue and we went on our last night. We had decided early on we want to go for a steak and saw a couple of places along the front to try but on our last night we also knew we wanted to go to Harry's bar for a farewell cocktail. We set off walking and before we knew it we were already at the safari centre. The sangria has to be one of the best I've had. It didn't taste like red wine but it didn't taste like pop.It was perfect. My friend had Fillet Mignon Gypsy style which looked amazing, I'm not a fan of sauces with steak so I had the plain fillet steak. I ordered mine medium and it came out a british medium not a spanish medium which i'd had prefered. Despite it being a little over cooked for my taste it was delicious. perfect charing on the outside. The plates were huge but I wouldn't have minded a bit more mash as it was really tasty. Saying that we were too full for pudding and could only manage one cocktail before we headed back home. There are so many places to eat and drink, eating out can be cheap as chips or you can get some really fine dining places. We were all inclusive in the hotel which was nice enough but sometime you just want to order your food and have someone bring it out and not stand in a queue. We also had lunch out a couple of time. Sadly I didn't take pictures of these. Have you been to Tenerife? 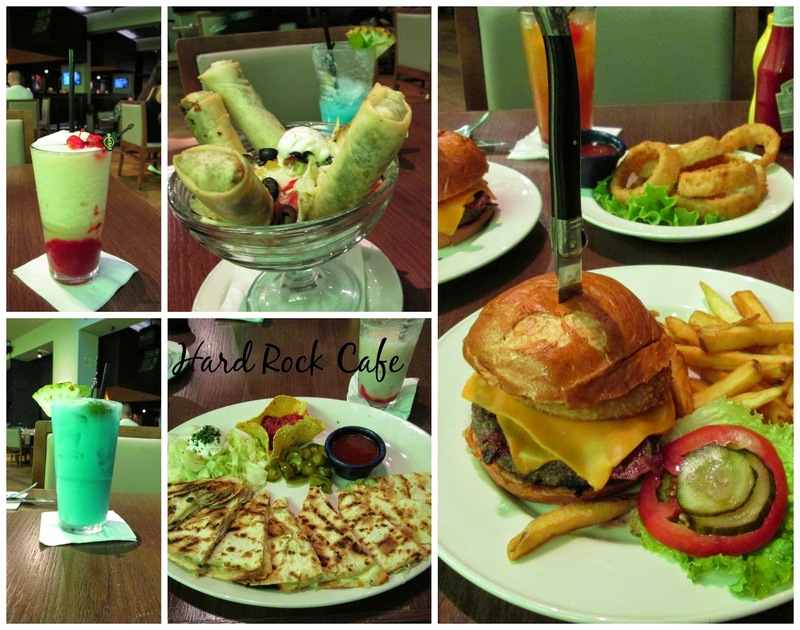 Where did you like to eat?